On the patch Saturday morning and I had a very rare occurrence - I was the only birder on site! With the guys away for the week up north on some far flung isle (I believe the place is called Shetland - never heard of it myself!) I was alone, with the whole patch all to myself (well, that's if you exclude the usual dog walkers, footballers, rough sleepers and general odd balls) it felt good, if not a little strange. As is the draw of Wanstead these days you can almost guarantee bumping into another birder at some point as you cross the Flats - but not today. The morning started cold and misty but it wasn't long before the sun broke through, quickly clearing the mist and leaving the Flats bathed in warm autumn sunshine - which seemed to be the trigger for the birds. Meadow Pipits seeped, seeped over head and small parties of Hirundines trickled past me, there was no sign of last weeks Stonechats in the Brooms but a Common Whitethroat was still knocking about (I later found two other birds near Long Wood - always good to see these birds into October) but the morning ultimately belonged to the Chiffchaffs with a conservative count of between 25 and 30 birds across the Flats - it felt as if every bush held a least one Chiffchaff and on two occasions I counted six birds together in both Long Wood and the SSSI. 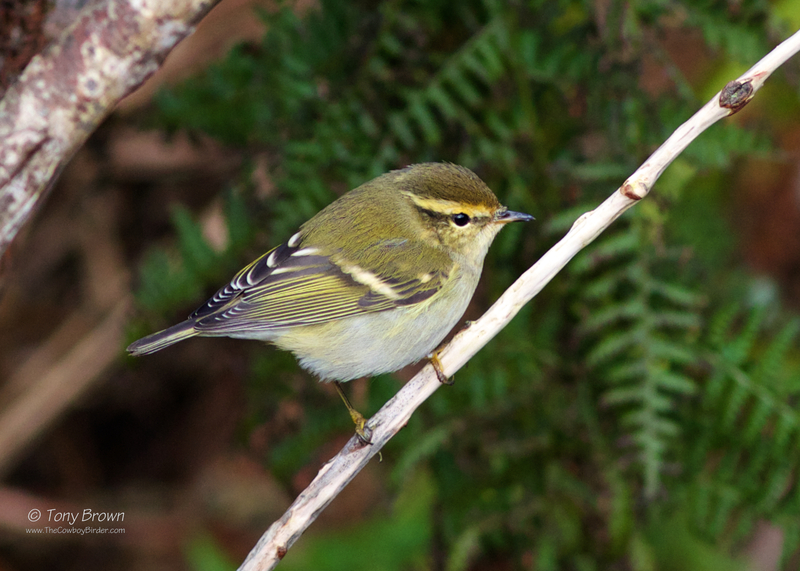 After the recent large influx of Yellow-browed Warblers along the east coast I strained my ears just for the merest hint of tsueeeet amongst the Chiffie's but despite my best efforts I couldn't hear one, so today wasn't to be my day and as the skies darkened and the heavy rain fell (and after getting a good soaking) I called it a day still dreaming of finding one of these magical little eastern gems on the patch. Yellow-browed Warber is on my patch most wanted list. (This bird was photographed on some place called Shetland).